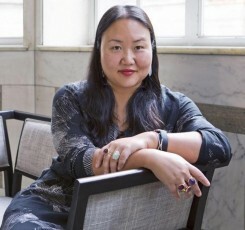 Hanya Yanagihara is the author of the novel A Little Life, which has become a literary sensation and was short-listed for the prestigious Man Booker Prize. She talks about her career and about how she came to write this long, intimate novel about the lives of four New Yorkers over the span of two decades. Hosted by Richard Wolinsky. The complete interview can be found as a Radio Wolinsky podcast in the Area 941 section of this website.